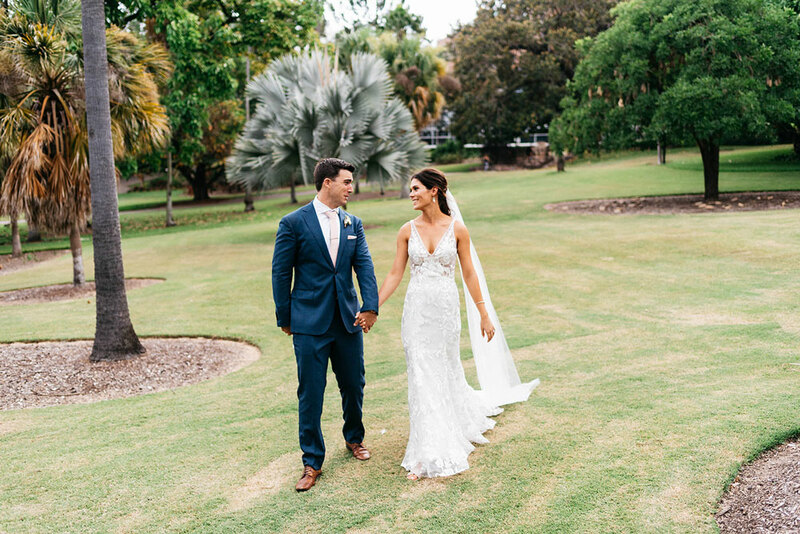 Tessa and Jacob celebrated their special day with a beautiful ceremony on Garden’s Point idyllic Kidney Lawn. 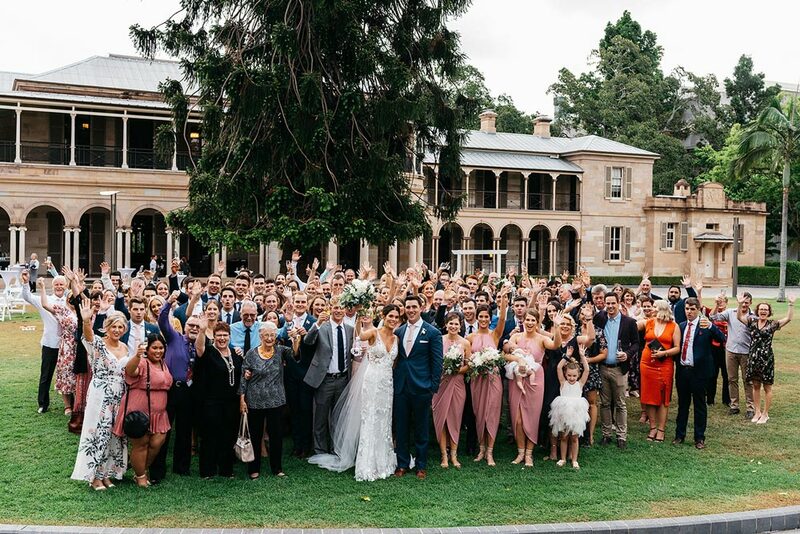 With the gorgeous brick of Old Government House creating a stunning backdrop, Tessa and Jacob exchanged vows in a moving ceremony surrounded by friends and family. 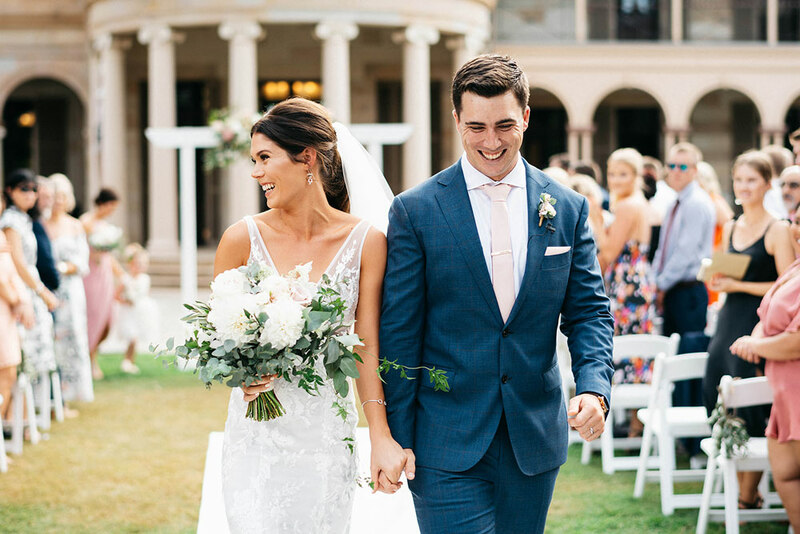 Tessa and Jacob tied the knot in a stunning afternoon ceremony on the Kidney Lawn. 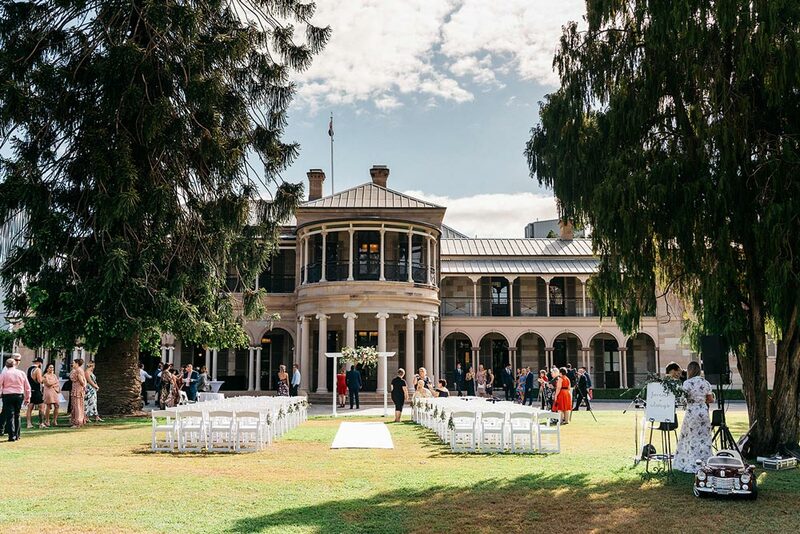 Old Government House provided an incredible backdrop to the beautiful ceremony. 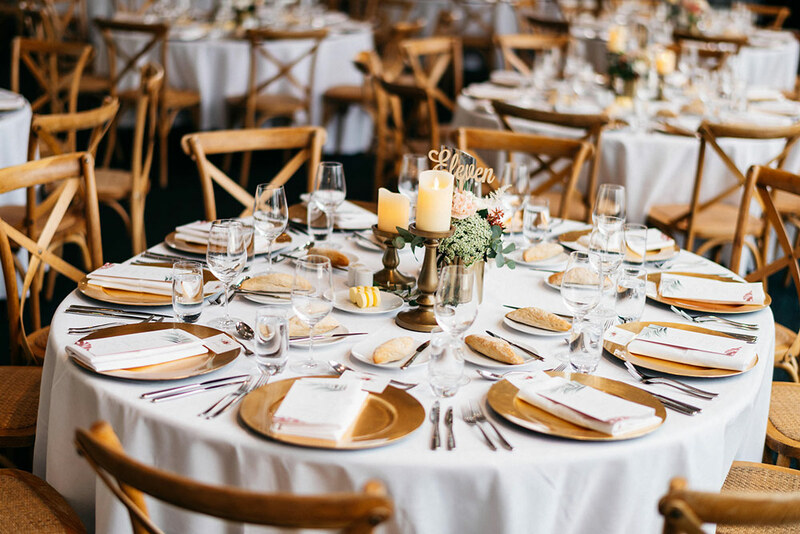 The couple and stylist, Hitched Events, went for contemporary styling with a rustic twist. 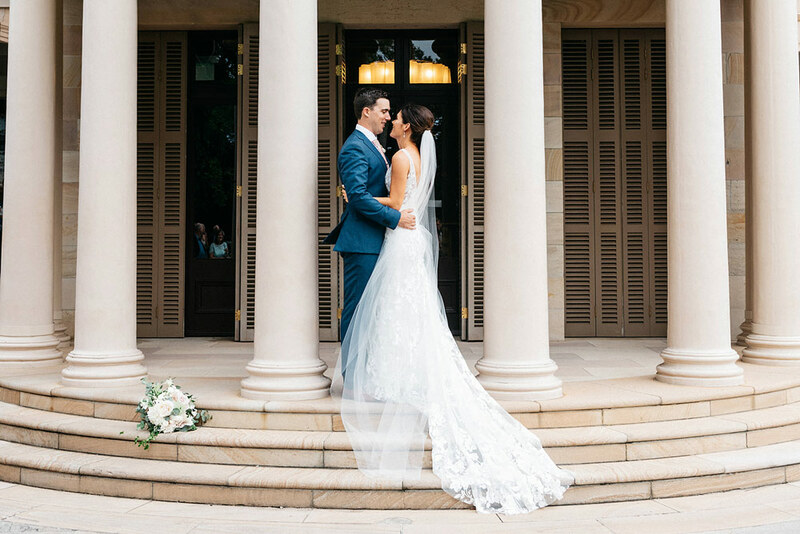 The bride carried beautiful white and blush flowers and the bridesmaids were dressed in stunning pale mauve dresses. 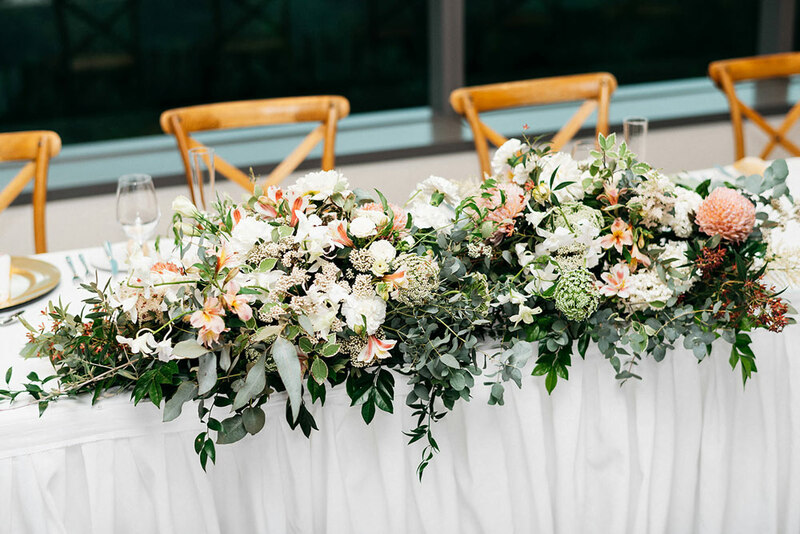 Guests watched the ceremony from white timber chairs adorned with white and blush flowers. 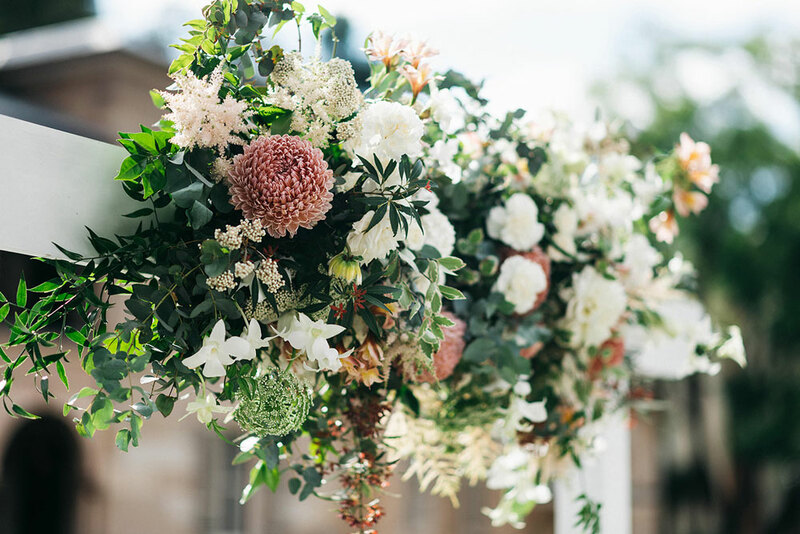 The arbour was styled with flowers in shades of white and pink, matching the bridesmaids’ dresses. Even the puppy got involved in the ceremony, dressed in a cute pink tutu. 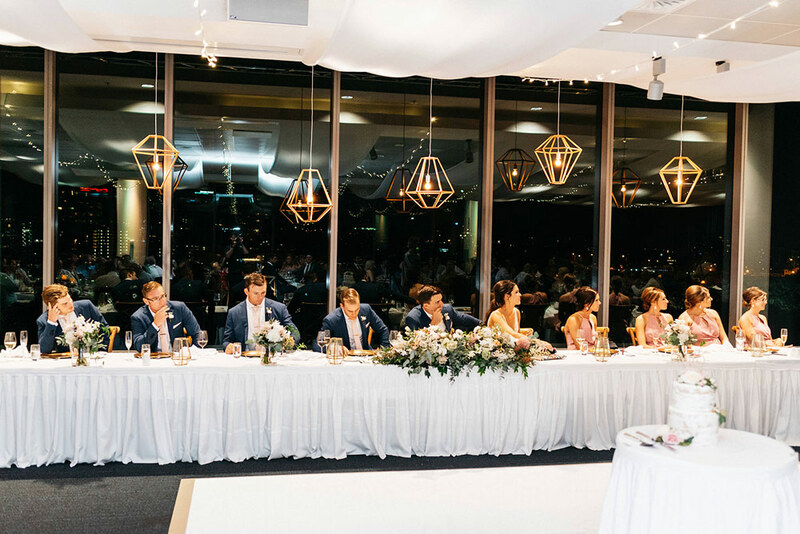 After the gorgeous ceremony guests enjoyed some cold canapes, cheese boards, antipasto platters and lawn games before they made their way to Room Three Sixty for the reception. 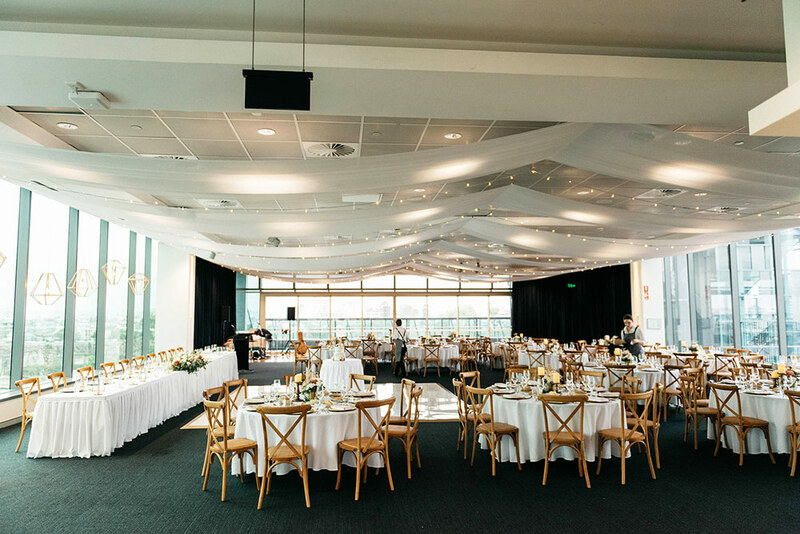 The reception was held in Room Three Sixty with tables covered in crisp white linen adorned with white and blush floral centrepieces and candles with gold vases. The bridal table was set against Room Three Sixty’s stunning view of the city while overlooking the guests and the central dance-floor. 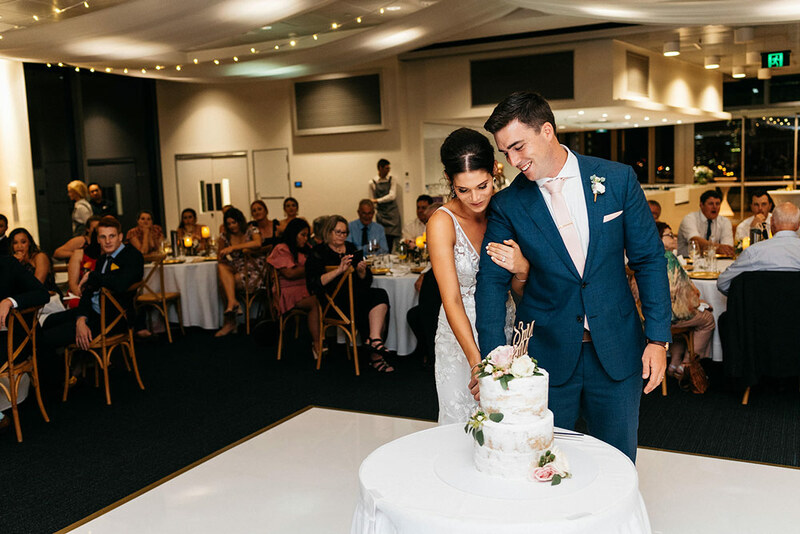 Guests were treated to a delicious two-course meal with the couple’s wedding cake served for dessert. For entreé, Cuisine on Cue served slow cooked pork belly with muscat grape, fennel, pear and chives alternating with cumin-scented pressed lamb with fire roasted peppers, minted peas and black vinegar. For the main course, Cuisine on Cue presented pan-fried chicken with pumpkin gnocchi, forest mushrooms and truffle jus and grilled Darling Downs eye fillet with Jerusalem artichoke puree, celeriac gratin, broccolini and muscat jus. 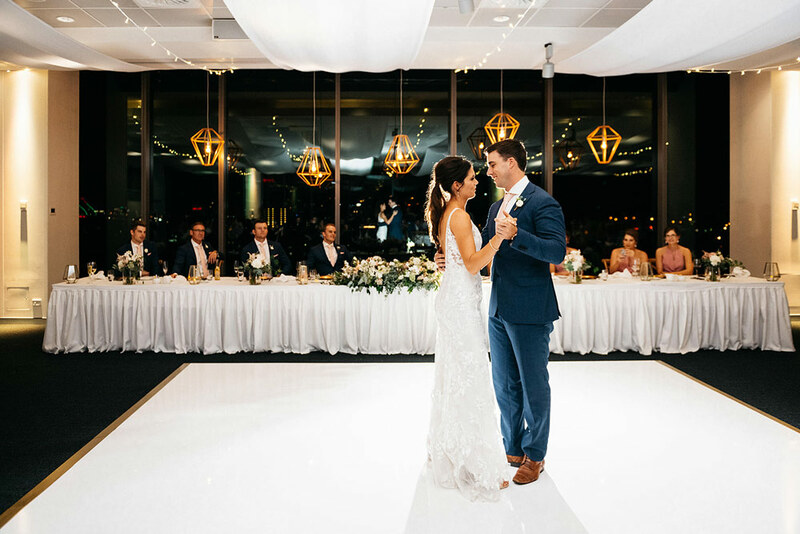 After dinner and moving speeches, guests danced the night away to live music on the Room Three Sixty dance floor until the bride and groom made their exit. Start Planning Your Wedding At Garden’s Point & Room Three Sixty. If you’d like to celebrate your dream wedding at Garden’s Point & Room Three Sixty, please contact us.